Authorities say the pit bull mixes broke through two fences on Rosalie Drive in order to enter the woman’s property. The German Shepherd suffered a mangled leg and neck wounds in the attack and was taken to a veterinarian. One of the pit bulls ran off but was then caught by animal control personnel. Santa Barbara County Sheriff’s personnel are investigating the incident, but authorities say it appears the shooting was lawful. Thats a hell of a hump from Nipomo to Orcutt. You can just imagine the person who owns those pitt bulls. He or she has a little property in rural Nipomo. Marginal financially. Wants to protect his or her “stuff”. Has a rickety fence around his or her property. Suspicious of strangers. Race of this person is unimportant, it’s the attitude that counts here. Was probably at work when dogs got bored and found a way out of the rickety fence. I say “good on ya:” to the lady with the gun! Now that’s what I’m talking about. Good job. Pit Bulls have been bred for only one purpose – to tenaciously kill other animals. The real crime is the huge numbers of Pit Bulls down at the shelter. Not very adoptable – with good reason! Anybody who says that they are maligned and do not deserve their bad rep is living in denial. I guess I just got lucky with the two pits I’ve owned that are gentle as pie and good around strangers and children. Doubt it has anything to do with the owners. Just luck. No, not luck. Just has not happened – YET. Statistically, it is likely to happen. I’d like to see proof of that claim. 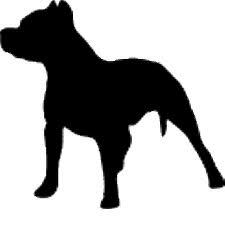 A large random sampling of pitbulls with the percentage of them that have become aggressive should tell the tale. The ones that “turn bad” later are rare. Usually, it is either an owner who has failed to properly train and socialize the dog or one that had previous training for aggressive behavior which was not addressed. Like so many other things in this modern world, the danger of pitbulls has been greatly exaggerated by media coverage which dwells on every problem while ignoring the much larger number or cases where nothing happens. There is a reason for that old news saying “If it bleeds, it leads.” The media knows that it is drama that attracts attention and attention provides the ad revenue to support the media. I am not saying some pitbulls aren’t dangerous nor even that they aren’t more prone to attack than other dogs. I am just saying that even with that, most aren’t a problem. Every time we hear of a Pittbull attack someone says, “but mine is so gentle”. But the attack stories keep coming. You are so right. I cannot figure out why any sane person would allow these killing machines into their home. The woman deserves a medal, and in the dark recesses of my mind would love to see the pb owner suffer some serious sanctions. This happens all too often. And not all Nazis murdered innocent people, shall we allow the Nazi attitude to exist? Get real, almost all pit bulls are scary and dangerous. Only a foolish (or wicked) person would harbor such a dangerous thing. This is a tough one for the left…. Do we ban Pit Bulls or Guns? You forgot the third and most important choice…stupidity. Not tough at all. Ban the dangerous breeds and hammer the irresponsible humans who enable these attacks. There are way too many guns in our society but in this case I applaud this woman for protecting her innocent dog-by any means. Years ago a friend of mine shot and killed a pit bull that attacked his cat, bravo! But he got in a lot of trouble for that, wrong! Some breeds are more prone to aggressiveness than others but that does not mean that most dogs of that breed are aggressive — just a higher percentage of them. I bet there are many more pitbulls that are fine with other dogs — and with little kids — than not. There may even be more that are OK with cats. I don’t see any simple solutions here except to make the penalties for owning an aggressive dog of any breed extremely tough on the owners should they attack others except in defense of their owners or owner’s property. By the way, in my long history of working service jobs where I went onto other people’s yards, I found the smaller breeds — particularly Chihuahuas — to be more likely to attack. Granted they can’t do as much damage if they do but wouldn’t “breed-banning” need to take them into account too?